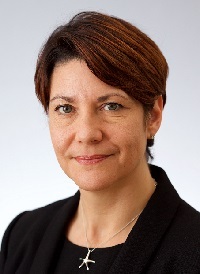 The November "SOAPBOX" is deliberately a week early and features Airport Operators Association (AOA) chief executive Karen Dee on today's annual conference. She joined the AOA on 1 March 2017 and has more than 20 years’ experience in policy development, communications and representation activities within the transport sector. The AOA Annual Conference comes at an important time. Not only are we in the end stages of the Brexit negotiations but the government is also soon going to release the Aviation Strategy Green Paper. The two moments are perfectly linked: as we look towards the future as a truly Global Britain, aviation will be instrumental in getting us there. Our Annual Conference will be an opportunity to look forward to that future. Shaped around the theme of the Airport of the Future, we will discuss growth opportunities, the future passenger experience, how we can reduce aviation’s impact on the environment and who the people will be that will deliver that exciting future as part of the aviation workforce. The Aviation Strategy is also an important moment for the UK as a whole. Aviation is a driver of economic prosperity and is a sector that delivers many social benefits. Our sector contributes more than £1bn a week to GDP and employs more than 1m people. We also enable people to visit friends and family abroad and take people to unforgettable holiday destinations. Around half the UK population flew at least once in 2017 according to the most recent National Travel Survey. That’s around 10% more than in 2011 and shows that the social benefits of aviation are becoming more widespread, with an opportunity for us to spread them further still. Aviation is also a catalyst for economic growth: as a rule of thumb, for every 10% growth in aviation connectivity, GDP grows by 0.5%. That means real jobs and real investment: look at Manchester Airport’s routes to Hong Kong and Beijing. Since their introduction, there’s been an increase in inward investment in the North of more than £500m. At Newcastle Airport, the Emirates route to Dubai has driven up exports: they’ve grown from around £20m in 2006 to more than £350m in 2016. Lastly, tourism is a vital part of the UK economy and aviation carries around three-quarters of all leisure and business visitors coming to the UK. Boosting aviation connectivity increases tourism. For example, travel between Edinburgh and Hamburg used to involve transferring through a hub airport. When easyJet introduced a direct route, travel between the Hamburg area and Scotland increased tenfold, 80% of which was Germans visiting Scotland. Given this clear link between the UK’s prosperity and aviation, the AOA believes the new Aviation Strategy should be an opportunity to not just note that aviation growth happens but also to actively encourage it. As we will discuss at our annual conference, the government has several important levers that help determine how buoyant connectivity growth is. Government’s active role is thus vital. For instance, our airspace was designed for aircraft that do not fly any more and as a result, today’s aircraft burn more fuel and have more noise impacts than they need to. Modernising airspace will allow us to address that, while also boosting airspace capacity. Clear government leadership is needed to make that a reality. On the ground as in the air: without investing in airport infrastructure and surface access to airports, connectivity growth will stall. The new Aviation Strategy should set out a clear framework for growth, setting out the conditions which will unlock a presumption in favour of development. This will send a signal to investors that the UK aviation sector is open for business and ready to take on that vital role of connecting Global Britain. That will include environmental conditions: we recognise that our licence to grow depends on our ability to do so sustainably. Already, industry has made great progress: since 2014, the number of people significantly impacted by aircraft noise around major airports has been reduced by 12,200, despite a 13% rise in passenger numbers. Our CO2 emissions have been de-coupled from passenger growth. The AOA Annual Conference will discuss what future technological solutions, in addition to airspace modernisation, will reduce that further. Lastly, a crucial lever for government is Air Passenger Duty. UK airports are tremendously successful in securing new routes, but are achieving this with one hand tied behind their backs. Airlines UK’s recent report on the impact of APD on route development showed how many more destinations could be unlocked if we did not charge more than double the amount of tax our neighbours charge. The Airport of the Future is one that is a hub for the local community, a meeting place of opportunities for the whole of the UK while offering an unparalleled passenger experience. As our Annual Conference will demonstrate, we need to work together to achieve that vision – as an industry and with government. We hope you will be joining us today at the AOA Annual Conference to take the next steps together. Very informative feature, and quite correct re ADP. Aviation industry has been telling government about ADP for years, but they just will not listen. A few years ago Korean Air started a service to Gatwick. Inbound loads very healthy indeed, however the airline ceased the service as outbound loads not sustainable. Why? Because tourists were returning home from other European airports where airport tax was not ridiculous.